100 Days Of (a new) School! This is a pretty momentous occasion for our household. In the past not so much, but this year it’s a bit more noteworthy. This Friday will be the 100th Day of School for my boys, and being the new kids, that is something to give a little cheer about! It hasn’t been the easiest road, but it has gotten a bit smoother. I feel we are finally finding our way out of the fog of newness and settling into a familiar routine that is much less anxious than when we started. And that is something to celebrate. 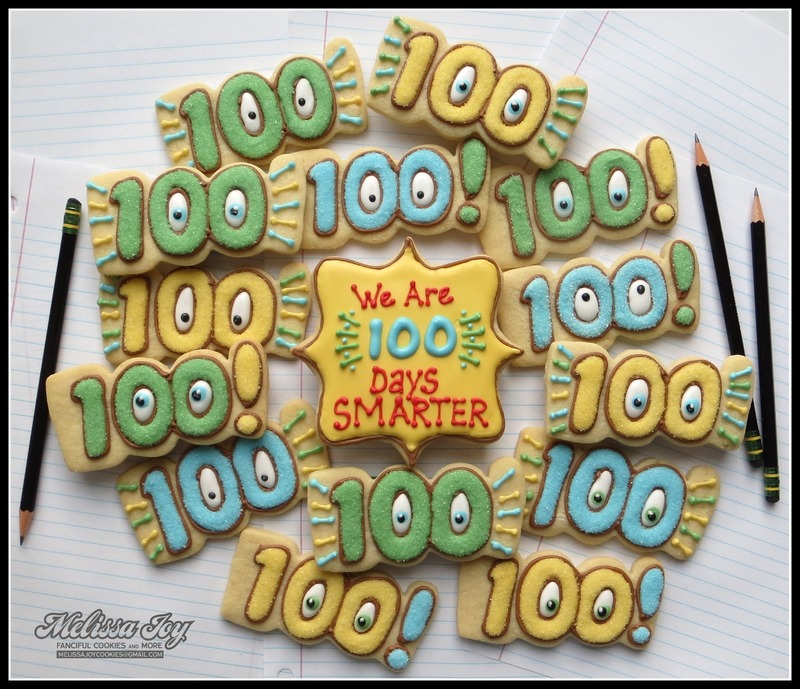 This entry was posted in For Fun Cookies, Holiday Cookies and tagged 100 day cookies, 100 days of school, 100 days of school cookies, new school. Bookmark the permalink. Happy 100! So proud of you for making it through the big change with flying colors. Many more happy, new days of learning ahead! We still miss our Woodchippers too! Hope you and the family are wonderful!!! They look great! I’m glad things are getting better, but we still miss you! Miss you too, lady. I was looking through old pics of the first grade field trip…the boys were so little! Hugs to you all! What adorable cookies to celebrate this milestone! I used a “BOO” cookie cutter, similar to this one: http://treatboutique.co.za/?product=boo Hope that helps! What cookie cutter did you use and where can I find it? Thanks! Hello! I got the cutter years ago, so have no idea where it came from! It is actually a cutter for Halloween…it’s for making a cookie that says “BOO!”.